We are giving below the contours of a quick weight loss plan which you can adopt and adapt to achieve fast and quick weight loss. By fast and quick we mean within 30 days to 90 days only; and that too most of it will be body fat. This diet plan is to be followed for a period of thirty days going up to a maximum of ninety days. However, if you are losing a lot of weight fast, then please revert to your regular diet. You can also do this plan as one month on and two months off. Do this for 2 cycles or a maximum of six months for adequate, healthy and gentle weight loss. You should not have any illnesses, diseases or low immunity problems. Your cholesterol, sugar and blood pressure should be normal. You should not be on any medication. You should be in general good health and should be an adult. Please ensure you have regular sleeping habits. If not, then please rectify before you start this plan. Sleep for seven to eight hours a day for sure. Have some form of exercise, If you do not have then at least start walking regularly. A brisk walk is recommended if you are already not doing any form of exercise. Avoid late nights and partying (not even once a week). When you follow this plan, especially combined with exercise; a few things may happen. This does not happen for everyone but can occur in some cases. However, it is nothing to worry about. Initially, you may find less or little impact for even fifteen days. Do not give up. Some individuals may experience light loose motions for two to three days. This happens as the body is ‘detoxing’ and cleansing the system. Once weight loss commences, some very few individuals may experience light fever or flu like symptoms. Rest at this time as the body metabolism undergoes some change. In a week or two of this diet, you will start feeling very fresh and energetic and be able to do more work. You will feel more lively too. 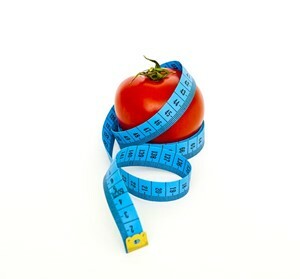 Weight loss may vary depending on your existing weight, body fat levels and exercise or activity levels. Strictly stop all sugar, sweets, desserts, ice creams and sugar free substitutes. Avoid all processed food, fried food and packaged foods. Stop all refined flour or maida. Strictly no alcohol for the entire duration. Not even one small drink. Strictly no fruit juices or soft drinks (not even the zero calorie ones). Eat whenever you are hungry. We will see below, what you can eat. Breakfast should be freshly made and consist of high fiber grains or millets, with a large glass of cow’s milk. This could be poha, upma, daliya, oats, bajra, ragi, idli, dosa, chilla, etc. You may also have eggs with the yellow, but no bread. With breakfast, have a teaspoon of organic coconut oil. Make sure you have breakfast within a maximum of an hour of waking up. The earlier the better. Mid morning snack will be a handful of nuts and a seasonal fruit. You may have a green tea with it if you want. Alternatively, you can have two cooked egg whites made in butter. For lunch have only lightly cooked green leafy vegetables with paneer or chicken (if you are non-veg). If you do not have paneer or chicken, you may add cheese to the dish. You can cook the vegetables, paneer or chicken in butter, cow’s ghee or peanut oil or sesame oil. Use less masalas and condiments. With lunch have a watered down chhaas or a soup. You may feel hungry after a couple of hours again. Have a fruit, coconut water, some paneer or two egg whites. Have a small evening snack consisting of some chana (roasted gram) OR citrus fruits with a teaspoon of coconut oil and a green tea. Dinner will be the same as lunch. A soup with green leafy vegetables and paneer, chicken or cheese cooked in oil, ghee or butter. If hungry before bed, have a warm cup of cow’s milk. Now try this plan and get explosive fat loss. This diet has been found to give rapid and powerful weight loss. The best part is that, it cuts down body fat much more than muscle or water. So what are you waiting for? Go for it. Do let us know if you want a customized diet plan.